Are you satisfied with your nursing career? Are you feeling so confident in your current employment that you don’t ever plan to switch jobs? Or, are you ready for a career change such as job role, or even trying out a different specialty such as nurse entrepreneurship? 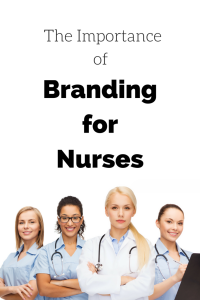 No matter what point you are at in your nursing career, utilizing “branding” can make a huge difference at work or in your business. As a nurse, you probably think that “branding” is a marketing activity only used by businesses. However, the savvy nurse understands personal branding vs. business branding. Business branding requires many skills which you will learn if you decide to become a nurse entrepreneur. However, personal branding is useful to all nurses. Your personal brand should be the expression of the unique “you”. It highlights who you are and what you have to offer the world. Just a few of the elements of personal branding can include: your personality, values, skills, dress, communication style, and your in-person & online reputation. Can Branding Advance Your Nursing Career? Personal branding can be part of the secret sauce to growing your network, obtaining promotions, becoming known in your specialty, and it might help you earn more money. Even if your current nursing job seems perfect, things can change. (After all, in nursing, the one constant is change.) Your facility could downsize, be bought, shut down, or a major life event could occur. As you approach retirement or desire a less demanding job, you might decide to start calling the shots (a personal brand can become an excellent jumping off point to start building a business brand). Personal branding can serve as a buffer and springboard in your career. Others can’t possibly get to know the unique “you” if you don’t know yourself. Who are you? What are your life priorities and goals? What do you want to contribute to the world? If you can’t specifically and truthfully answer these questions, you have some self-reflection work to do. Be who you really are. People can sniff out a “fake” quickly. Don’t waste your time building a fake personal brand. Building a brand that is not congruent with who you really are is not effective. 3. Manage Your Online Reputation. Seriously. This is IMPORTANT. The first thing people will do when they meet you is “Google” you. Appearing professional online is crucial in the development of your brand. This includes monitoring what others are posting about you, too. Medical professionals, should not take pictures of wounds, x-rays, or anything else that belongs to a patient. Definitely do not post it online. Even if it lacks personal identifiers, it still could be recognized. In fact, the more unusual the picture, the more likely it could be identifiable to others. Just don’t do it! Besides ethical violations, future employers probably won’t hire you. 4. Hand Out Business Cards. You need “business cards” for networking even if you are traditionally employed and do not own a business. Business cards are visual, tangible, and memorable (if they are done right). Many people tend to hang onto them. Plus, it looks professional to hand them out when meeting new people. Take your career seriously and other people will too. Whatever nursing specialty you are in or want to move into, become an expert in it (or at least a niche within that specialty). 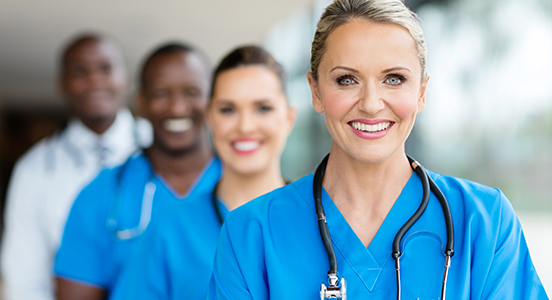 For example, if you are a medical or surgical nurse, you can become the “go to” person for questions about labs, medications, or patient positioning. Just pick an area you love within your specialty and learn to be great at it. Trust me, others will notice.